Ilocos Norte (Ilocano: Amianan nga Ilocos, Tagalog: Hilagang Ilocos) is a province of the Philippines located in the Ilocos Region. Its capital is Laoag City and is located at the northwest corner of Luzón Island, bordering Cagayan and Apayao to the east, and Abra to the southeast, and Ilocos Sur to the southwest. Ilocos Norte faces the West Philippine Sea to the west and the Luzon Strait to the north. 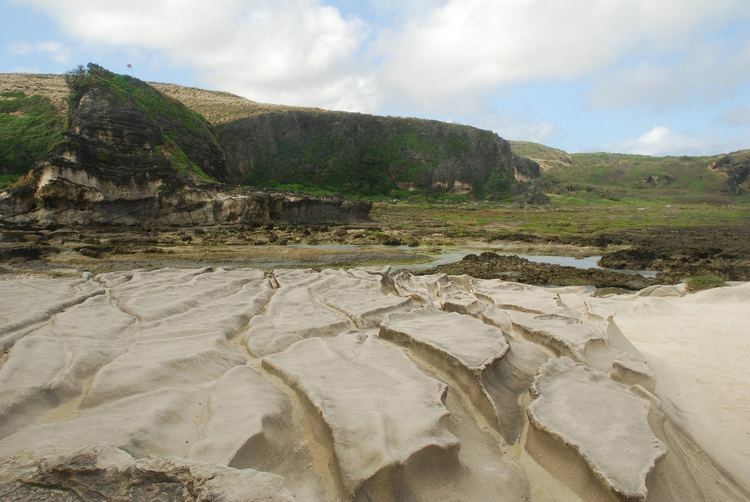 Many Ilocos residents have immigrated to Hawai'i in the early to mid 20th century. Long before the arrival of the Spaniards, there already existed an extensive region (consisting of the present provinces of Ilocos Norte, Ilocos Sur, Abra and La Union) renowned for its gold mines. Merchants from Japan and China would often visit the area to trade gold with beads, ceramics and silk. The inhabitants of the region, believed to be of Malay origin, called their place samtoy, from sao mi toy, which literally meant "our language here"
In 1571, when the Spanish conquistadors had Manila more or less under their control, they began looking for new sites to conquer. Miguel Lopez de Legazpi's grandson, Juan de Salcedo, volunteered to lead one of these expeditions. Together with 8 armed boats and 45 men, the 22-year-old voyager headed north. On June 13, 1572, Salcedo and his men landed in present-day Vigan and then proceeded towards Laoag, Currimao and Badoc. As they sailed along the coast, they were surprised to see numerous sheltered coves (looc) where the locals lived in harmony. As a result, they named the region Ylocos and its people Ylocanos. As the Christianization of the region grew, so did the landscape of the area. 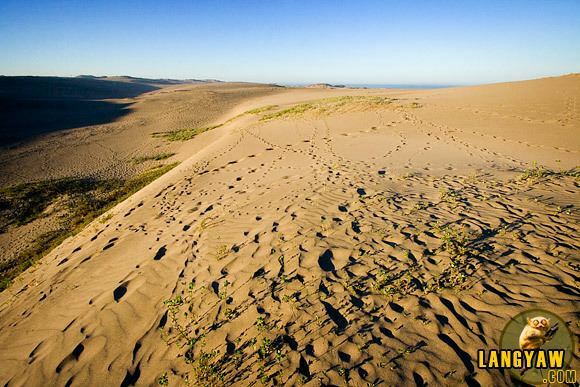 Vast tracts of land were utilized for churches and bell towers in line with the Spanish mission of bajo las campanas. In the town plaza, it was not uncommon to see garrisons under the church bells. The colonization process was slowly being carried out. The Spanish colonization of the region, however, was never completely successful. Owing to the abusive practices of many Augustinian friars, a number of Ilocanos revolted. Noteworthy of these were the Dingras uprising (1589) and Pedro Almasan revolt (San Nicolas, 1660). In 1762, Diego Silang led a series of battles aimed at freeing the Ilocano. When he died from his compatriot's bullet, his widow Gabriela continued his cause. However, she too was captured and hanged. In 1807, the sugar cane (basi) brewers of Piddig rose up in arms to protest the government's monopoly of the wine industry. In 1898, the church excommunicated Gregorio Aglipay for refusing to cut off ties with the revolutionary forces of Gen. Emilio Aguinaldo. Unperturbed, he established the Iglesia Filipina Independiente. Aglipay’s movement. In an effort to gain more political control and because of the increasing population of the region, a Royal Decree was signed on February 2, 1818 splitting Ilocos into two provinces: Ilocos Norte and Ilocos Sur. Soon thereafter, La Union and Abra likewise became independent provinces. Ilocos Norte covers a total area of 3,467.89 square kilometres (1,338.96 sq mi) occupying the northern tip of the Ilocos Region in Luzon. The province is bordered by Cagayan to the extreme northeast, Apayao to the east, and Abra to the southeast, Ilocos Sur to the southwest, the South China Sea to the west, and the Luzon Strait to the north. Ilocos Norte comprises 21 municipalities and 2 component cities, further subdivided into 557 barangays. There are two legislative districts in the province. Ilocos Norte has 557 barangays comprising its 21 municipalities and 2 cities. The most populous barangay in the province is Barangay No. 1, San Lorenzo (Poblacion) in the City of Laoag with a population of 4,391 in the 2010 census. If cities are excluded, Davila in the municipality of Pasuquin has the highest population, at 3,900. 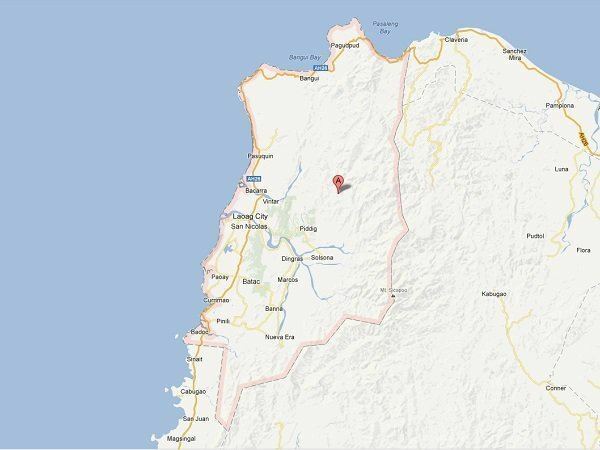 The least populous is Sapat in the municipality of Pasuquin, with only 32. The population of Ilocos Norte in the 2015 census was 593,081 people, with a density of 170 inhabitants per square kilometre or 440 inhabitants per square mile. Roman Catholicism and the Aglipayan Church are the two major religions in the province. Paoay Church — named a UNESCO World Heritage Site in 1993. Santa Monica Church in Sarrat — documented to be the biggest church in the Ilocos Region. Bacarra Church — destroyed during an intensity VII (on the Rossi-Forel scale) earthquake on August 17, 1983, reconstructed and re-inaugurated in 1984. 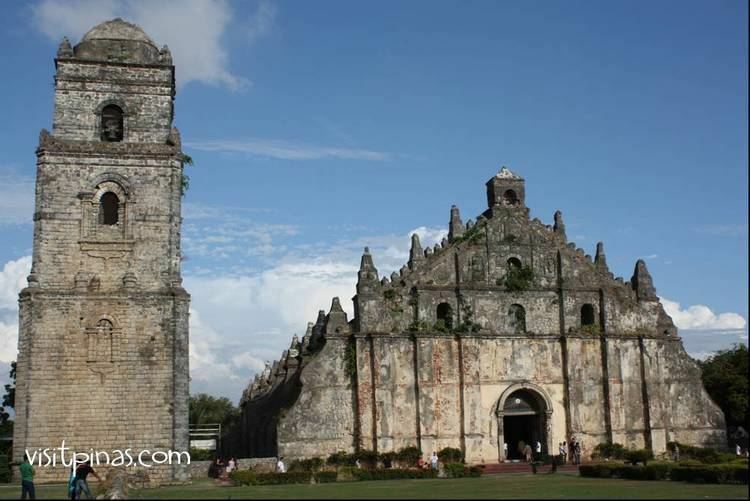 Ilocos Norte is the home of the Aglipay Shrine (Aglipayan Church) where the church's first supreme leader was buried. There are also increasing members of Jehovah's Witnesses. There are also minor but steadily increasing members of Iglesia ni Cristo. Islam is also practiced by Mindanaoan traders and immigrants. 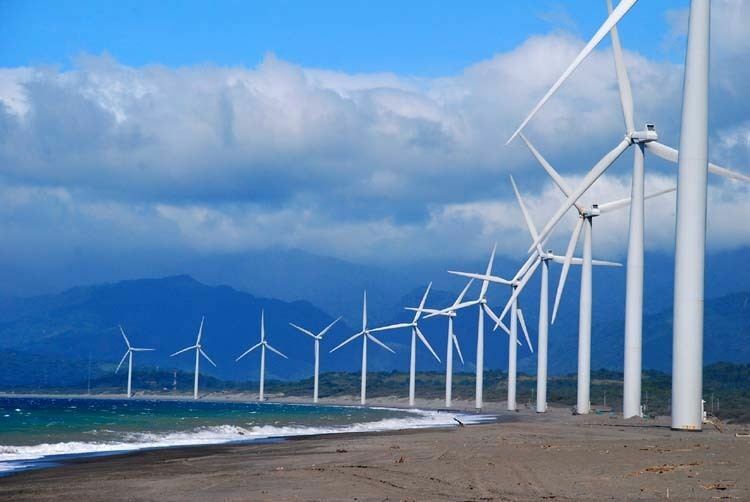 Ilocos Norte is one of the richest province in the Philippines. Aside from high Human Development Index of 0.784, it has also one of the highest per capita income in the country.